Always nice to visit Orlando in the winter! 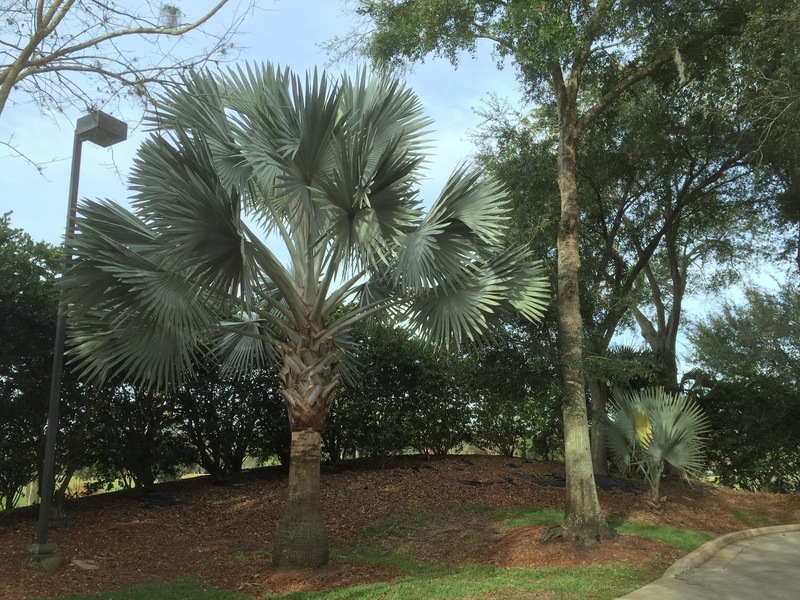 This time I stayed at the Marriott World Center for a work conference and saw a great variety of tropical plants. I'll try my best to look them up online to identify them just from the photos I took. Any corrections are welcome in the comments section! I'm pretty sure this first one is Bismarck palm (Bismarckia nobilis) just from the photos and descriptions I've seen online. Next up, what appears to be Philodendron 'Rojo Congo' or possibly another Philodendron hybrid with purple red underside leaves and glossy dark green tops, exposed surface roots, maroon stems, and growing in partial shade 30 inches tall. Next up, this odd looking tree with thin stringy fronds that look like hair - like something out of Dr. Seuss. Where have I seen this before? It looks just like those small Ponytail Palm trees for sale as house plants, and indeed when I look up photos online of larger plants that looks like what it is. 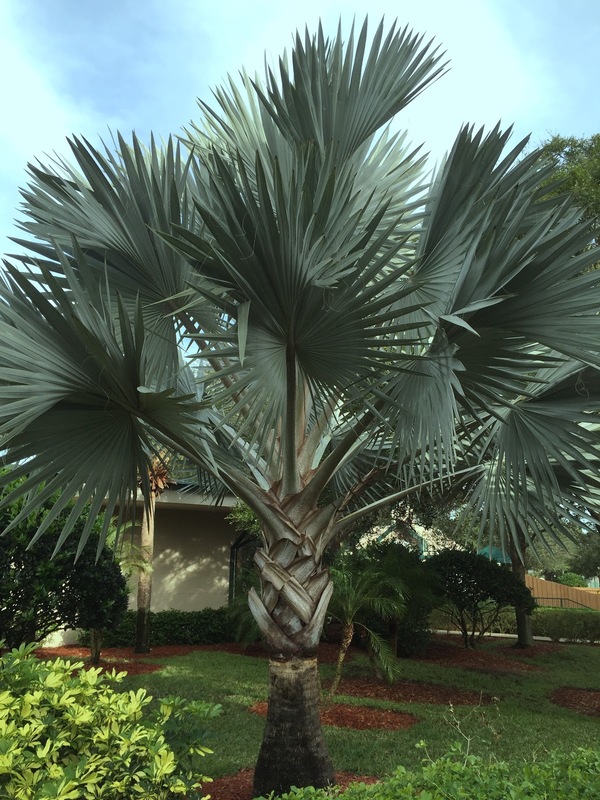 A huge ponytail palm or Beaucarnea recurvata.